If you've reached this page through your Learning Management System, then your Review Center is working as intended! The Review Center allows students to prepare better for an upcoming Test (say, a midterm or a final exam). 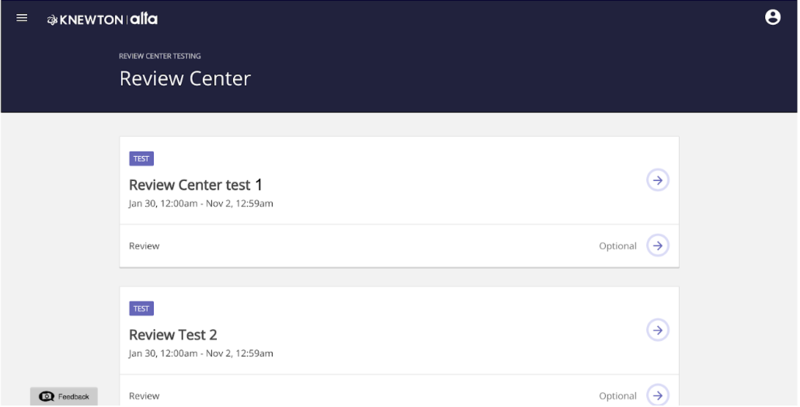 For each test that contains an enabled Review Center, students will see a list of adaptive review assignments corresponding to the topics and learning objectives covered in that test. Students will be able to use these review assignments to prepare for the test in a targeted and streamlined fashion - these assignments will be personalized to the student’s learning history, and students will be able to filter and sort them based on parameters such as “past mastery on assignments”. To enable the Review Center, go to the Settings tab while you are creating a new Test. Then simply toggle on the Review Center and review assignments will be automatically created (and updated!) based on the learning objectives in a Test, and become available 14 days before the Test Start Date. 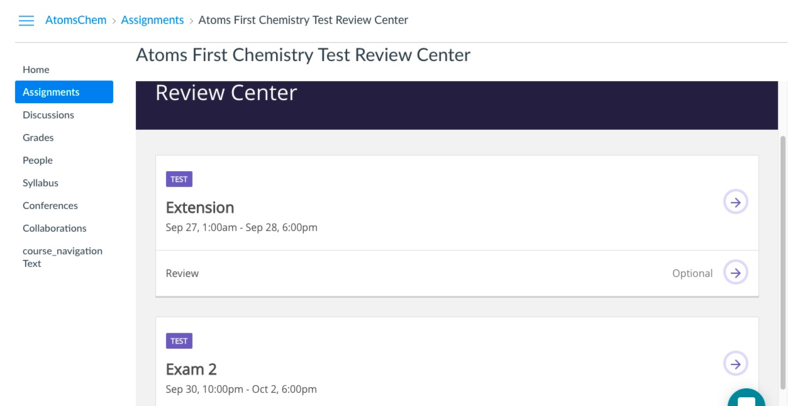 If you are integrating with a Learning Management System (like Blackboard or Canvas) a link to the Review Center will show in your LMS after your initial integration. It's the same LTI link that shows up in your test settings and will not change between tests so you will not need to reimport it. If there is more than one Review Center available within the same two week period, students will be able to access both from the same link, as seen below. You may want to 'Hide' or 'Unpublish' the Review Center link that will automatically populate in your LMS with your Common Cartridge import until you need students to use it. If you don't plan to use Tests in alta at all, you may choose to delete the review center link. For more information how to hide or unpublish links in your LMS, check out this article. Want to explain the Review Center to your students? Here's a helpful video you can use!